Email or bring in your baby picture before the party, and we’ll play a game of “Guess Who is Who?”. 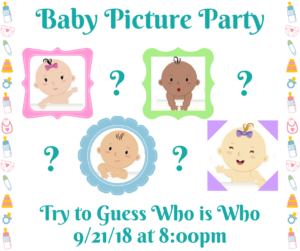 The person that guesses the correct identity of the most babies will win a prize! Address 118A North Milwaukee Ave.